Wrist aches? Back aches? More? Join the conversation and hear how others are dealing with the ergonomics of working in the studio! 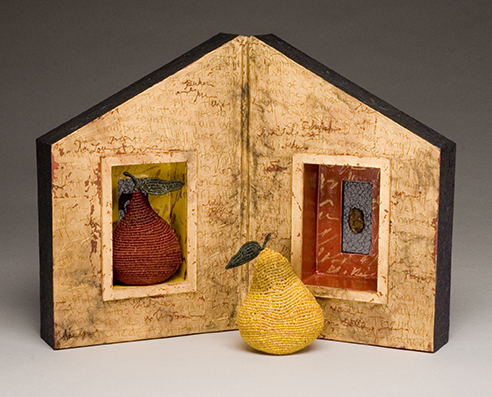 Josephine Stealey is a nationally recognized artist who is particularly prominent in the contemporary basketry movement and a Professor of Art at the University of Missouri. She is known for work that ranges from sculptural objects and artist books to mixed media installations. She has exhibited widely in more than 300 national and international exhibitions that span a forty-year career. Her work is in many private and public collections including the National Portrait Gallery and the Smithsonian American Art Museum. Stealey has contributed articles to Surface Design Journal and Fiberarts as well as the National Basketry Organization's Quarterly Review Magazine. She teaches workshops across the country and curates exhibitions. 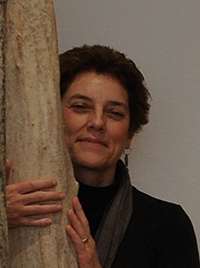 She has served as a juror for exhibitions including Rooted, Revived Reinvented: Basketry in America, which is traveling nationally and also co-edited the scholarly catalog for that exhibition. She lectures on contemporary American basketry at national and international conferences. After leading the University of Missouri Fiber program for over thirty years, Stealey currently serves as the founding director of the School of Visual Studies at MU. In her presentation for TSGNY, she will discuss the serendipity, magic, and metamorphosis of her role as artist, mentor and researcher.